Are you looking for a new position in a commercial, administrative, secretarial or customer service related role? Are you a multilingual who is aiming for a career within a leading international company? We are here to support you! 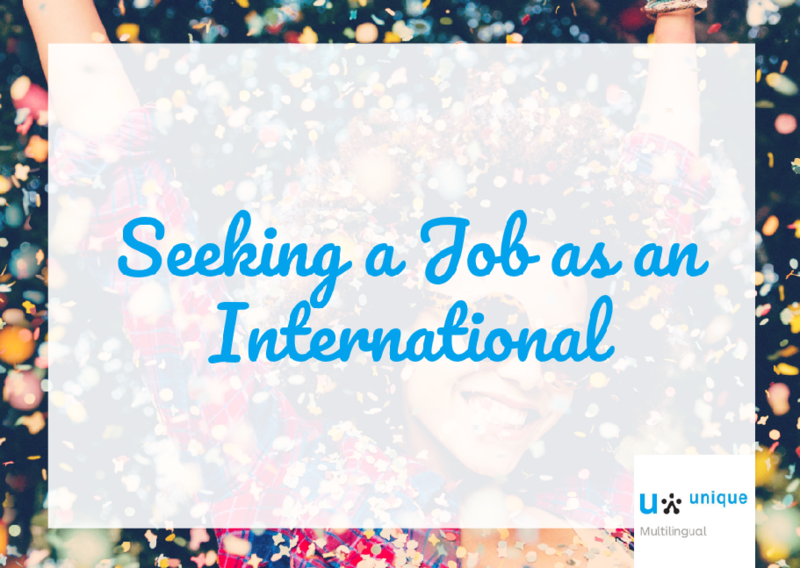 Unique Multilingual is a leading recruitment specialist which aims to help international candidates find a career in The Netherlands. As a HR Business Partner, we manage the connection between international organizations and multilingual talent. With offices throughout the country, we recruit for all areas of business from Administration to HR, from Logistics to Sales, hand in hand with our international clients. With this workshop “Seeking a Job as an International”, you will find what works best for you! Finding a job in a new country has its challenges: the language, the culture, or even the styles of working can be different. Unique Multilingual’s consultants are internationals just like you and have also experienced the challenges of finding a job in a new environment. We can help you understand what organizations are looking for in a candidate, and how you can stand out in the middle of the crowd! Because in the end, we want to make you Feel at Home!